Welcome to all customers to activate the special Banglalink Night Package 100% Bonus Offer. 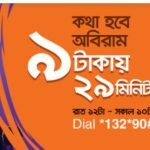 Now Bangladeshi most popular telecommunication company BL has come to their valuable customers to enjoy the Night Package Internet onus offer. Banglalink all time announce to their users to enjoy low price call rate and minimum price internet offer. Its continuation this operator has announced to their customers to activate 100% night package bonus offer. The customers who want to activate low price internet package with exclusive validity, just read this full content and follow all instruction step by step. 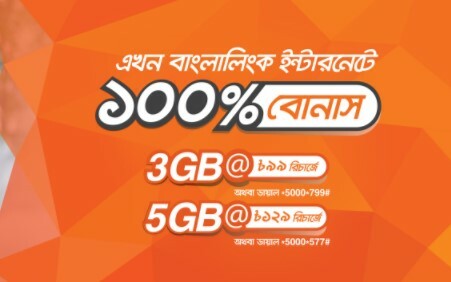 Banglalink all selected customers will now get 100% Night package internet 3GB on TK 99 recharge (1.5GB + 1.5GB night bonus) and 5GB on TK 129 recharge (2.5GB + 2.5GB night bonus). To check your internet volume, Dial USSD Code *124*50# (If you have availed the offer by recharging the exact amount) or Dial *5000*500# (If you have availed the offer by dialing USSD code). To check your bonus internet balance and validity, just dial *124*66#. We hope all customers get a clear concept about the Banglalink Night Package 100% Bonus Offer details info. If you want to know more or face any problem to activate this offer, please comment the box. Thanks to all for being here. We also announced here to know Banglalink 2GB Night Package Offer.